Many thanks to SWLing Post contributor, Ron, who notes that Hamcrafters appears to be planning a replacement for the Palomar VLF converter. 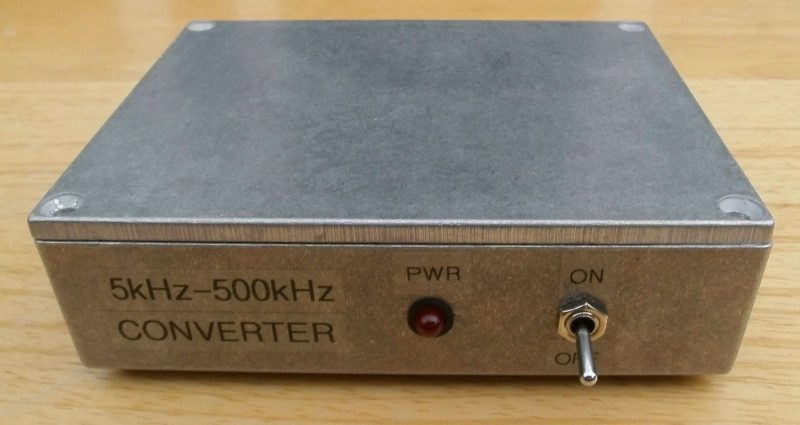 The Hamcrafters VLF Converter is based on the original Palomar design and converts 10 KHz – 500 KHz to 4.010 to 4.5 MHz. This allows use of your HF Receiver or Transceiver and all its filters, noise blankers, DSP, and memories while tuning the VLF band. Modern HF radios have poor sensitivity in the VLF range (by design). 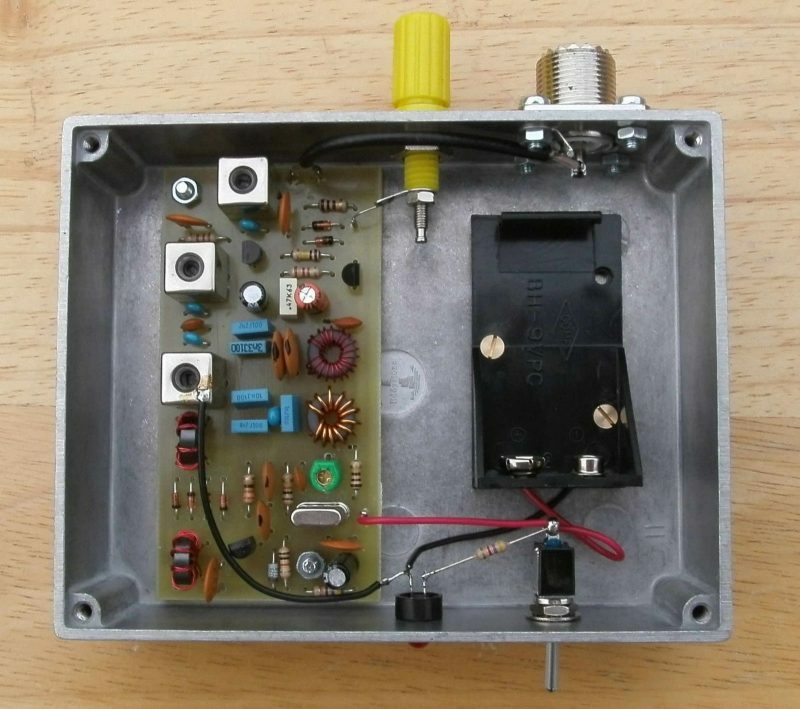 Using this converter with a simple wire antenna will allow receiving of navigational beacons, time signals, and other VLF signals. Thanks for the tip, Ron. Click here to check out the Hamcrafters VLF Converter product page. This entry was posted in Accessories, Longwave, News and tagged Hamcrafters VLF Converter, Longwave, Palomar Engineers VLF Converter, VLF, VLF Converter on August 15, 2018 by Thomas. Unless you live in a cave, you’ve probably heard a little about the thirteen people — mostly children — trapped in the Tham Luang Nang Non cave in Thailand. What you may have missed, though, is the hacker/ham radio connection. The British Cave Rescue Council (BCRC) was asked for their expert help. [Rick Stanton], [John Volanthen] and [Rob Harper] answered the call. They were equipped with HeyPhones. The HeyPhone is a 17-year-old design from [John Hey, G3TDZ]. Sadly, [G3TDZ] is now a silent key (ham radio parlance for deceased) so he didn’t get to see his design play a role in this high-profile rescue, although it has apparently been a part of many others in the past. The HeyPhone is actually considered obsolete but is still in service with some teams. The radio uses USB (upper sideband, not universal serial bus) at 87 kHz. The low frequency can penetrate deep into the ground using either induction loop antennas like the older Molephone, or — more commonly — with electrodes injecting RF energy directly into the ground. Click here to read the full article at Hackaday. This entry was posted in Ham Radio, News and tagged bernieS, Hackaday, Ham Radio, HeyPhone, VLF on July 15, 2018 by Thomas. Grimeton Radio / SAQ Transmission on July 1st, 2018. The annual transmission on “Alexanderson Day” with the Alexanderson alternator on VLF 17.2 kHz with the call SAQ will take place Sunday, July 1st, 2018. 1. Startup of tuning at 10:15 (08:15 UTC) with a transmission of a message at 10:45 (08:45 UTC). All three transmission events will be broadcasted live on our YouTube Channel. The station will be open to visitors between 10.00 am to 4.00 pm. Excellent news! Thanks for the tip, Evandro! This entry was posted in Current Events, News, Shortwave Radio and tagged Evandro Stanger, Grimeton Radio, Radio Grimeton SAQ, Radio SAQ, SAQ Radio, VLF on June 14, 2018 by Thomas. A firm in the UK is now offering new VLF converters in built, ready to go form or in kit form. Coverage is 10-500 khz full LW band or 0.1-100 kHz ELF band. Your choice of stock or SO239, BNC or RCA connectors for antenna input and converter output. Powered by a nine volt battery. In addition a special 630m version is available tuned for max performance on 475 kHz in the middle of the 630m band. Thanks for the tip, Ron! Based on the photos, the construction looks to be of very good quality. There are so few VLF converters on the market–please share your review when you’ve had a chance to evaluate it! This entry was posted in Accessories, Longwave, New Products, News and tagged Longwave, VLF, VLF Converter on July 3, 2017 by Thomas. Experience with Heros Technology Ltd UK VLF Up-Converter? 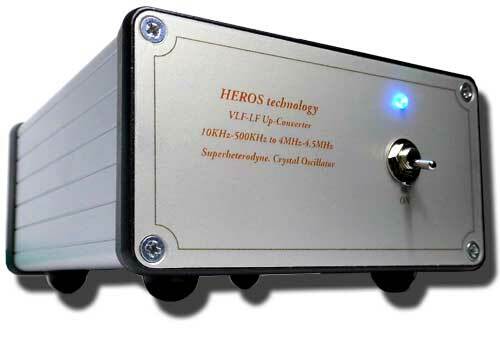 Has anyone ever dealt with the equipment from Heros Technology Ltd UK specifically their VLF converters models 350-400? Their claim is these converters will work with any receiver (SW) on the market past or present. Click here to view the video introduction to the VLF-LF Up-Converter. I, personally, have no experience with VLF/LF up-converters, so I’m hoping someone else can help Michael. Please comment! This entry was posted in Accessories, News, VLF and tagged Heros Technology Ltd UK, LF, VLF, VLF-LF-MF bands Up-Converter on August 11, 2016 by Thomas.